Dog Toupees Are Just Silly: Prevent Pet Baldness, Naturally! You aren’t the only one losing hair with each birthday that ticks by! 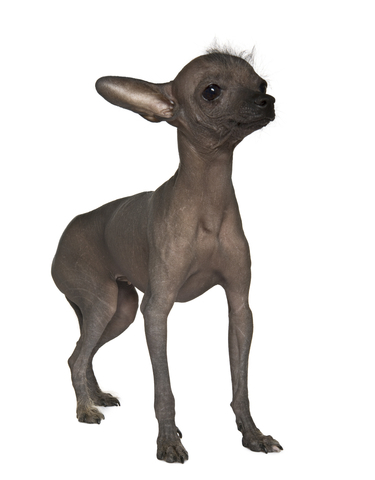 Have you noticed your dog’s hair thinning out a bit lately too? Hair loss, also known as alopecia, in dogs can result from a variety of health conditions, nutritional deficiencies, and environmental conditions. If you’re just starting to notice that Fluffy or Fido’s fur isn’t as full as it used to, many all-natural home remedies can help. One of the most common causes for hair loss in dogs is allergens. Dogs are sometimes allergic to dog food, shampoo, dust mites, or flea bites. If you suspect that your dog is suffering from food-related allergies, you can replace the dog food with homemade mixes of cooked rice, vegetables, and chicken breast. Apple cider vinegar also has anti-fungal and antibacterial properties that can give your dog’s immune system a needed boost. Try mixing equal parts of apple cider vinegar and water to your dog’s affected area or dip a cotton ball into it for specific application points. Similarly, lemon juice has antibacterial properties that can be infused with warm water for spot treatments. Olive oil is a great home remedy to moisturize the skin around your dog’s hair follicles, and it also smothers mites, in case they are the cause of your dog’s hair loss. Flaxseed oil is full of healthy omega-3 fatty acids, which are great for hair growth. Flaxseed helps dogs’ bodies to synthesize fatty acids in their bodies, and about two tablespoons in your dog’s food will do the trick. Tea tree oil is great for all kinds of canine skin infections, including hair loss. You can gently rub a small amount of tea tree oil into your dog’s skin to provide relief and prevent further hair loss. Believe it or not, seaweed is also great for canine hair loss prevention. Just as seaweed dietary supplements can help restore human hair, they can also provide essential nutrients and stimulate follicle growth in dogs. Safe and pure powder with seaweed and kelp have proven very beneficial for thick coat growth and pigment retention, especially during winter months. Since hair loss can be indicative of a more serious condition, make sure to have your pet checked out by a veterinary specialist if the hair loss is extreme or accompanied by other suspicious symptoms. StephanieRMontgomery - HI, This information is really helpful as well as informative. Thanks for sharing your knowledge with us. This is really a nice and informative. StephanieRMontgomery - A great resource for dog owners. Thank you for doing the hard work, to list all resources in a post.